The City of Norwich is proud to be a member of the Last Green Valley. The Last Green Valley is a National Heritage Corridor comprised of 35 towns in Eastern Connecticut and Southern Massachusetts. The Last Green Valley, Inc. (TLGV) is a nonprofit charitable organization established in 1995. They are advocates for the fragile and irreplaceable resources of The Last Green Valley. Founded as a grassroots organization, and built upon a proven track record of success and partnerships, TLGV is ensuring a natural and cultural legacy for generations to come. During the past 25 years, the Last Green Valley has been sponsoring walks which began as Walking Weekends in October and which have morphed from one weekend of guided walking tours to a month long event called Walktober. Norwich’s participation in Walktober has grown exponentially over the past few years and we are pleased to have offered 45 walks and events in Norwich for Walktober 2015 and over 35 walks and events in Norwich for Walktober 2016. Visit Walk Norwich on Facebook and see all of Norwich’ s Walktober Walks for 2018! The Mr. or Ms. Walktober honor has been bestowed upon only a small number of walk leaders over the past few years, and this year we introduce a dynamic duo from Norwich as they join this extraordinary club! Dianne & Regan have teamed up to provide what is becoming a model for other towns organizing a Walktober lineup. 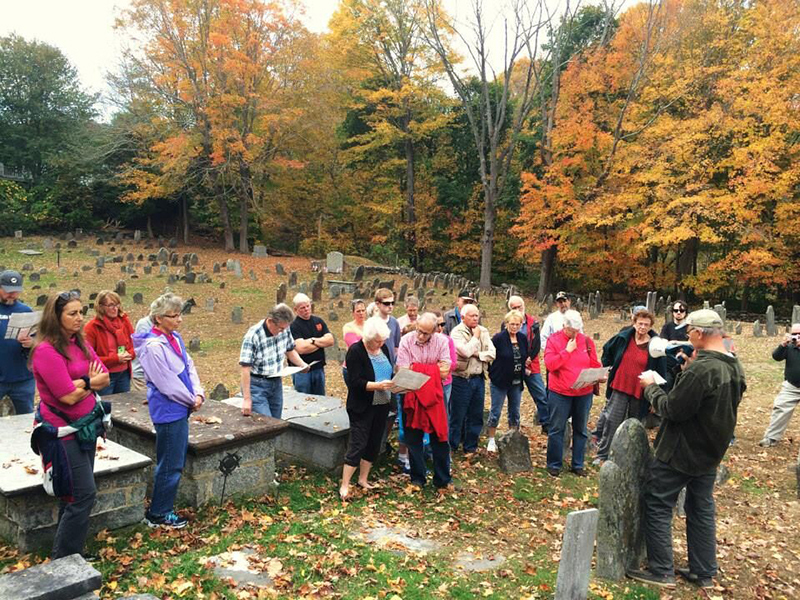 All Norwich Walktober experiences are gathered and strategically scheduled to offer attendees memory-making visits. You can plan to spend a day in Norwich and comfortably attend more than one Walktober experience. Dianne’s lifetime love of Norwich architecture led her to purchase an 1860 Greek Revival home in Norwich with her husband in 2001. As secretary of the Norwich Historical Society and co-chair of Norwich’s Semiseptcentennial Celebration, it seemed natural for Dianne to be part of the newly-formed Norwich Walktober planning group 3 years ago, and to become its chairwoman for the last 2 years. An avid Walktober participant, Dianne is thrilled and honored to be in the position of actually coordinating the walking tours she loves so much! A native of Norwich, Regan is a graduate of Norwich Free Academy and UConn, and is currently pursuing a Master’s Degree in Public History from CCSU. 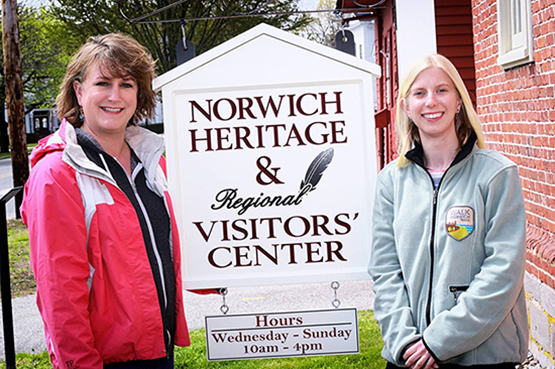 As a consultant for the Norwich Historical Society, Regan successfully amassed over $120,000 in grant funding towards major projects including restoration of the 18th Century Daniel Lathrop Schoolhouse (now home to the Norwich Heritage & Regional Visitors’ Center), the Discover Norwich exhibit and the Walk Norwich self-guided trails. 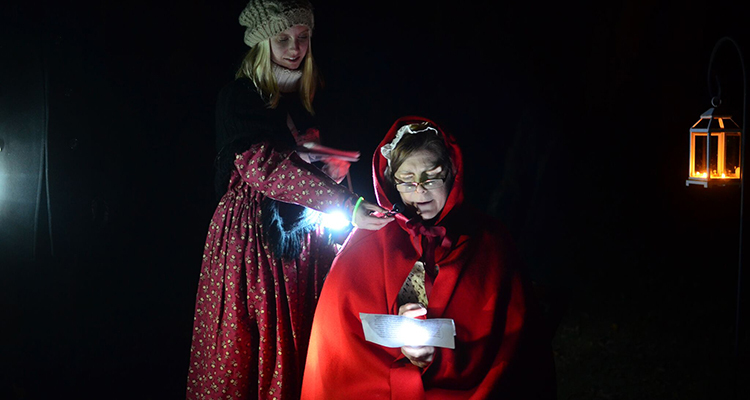 Regan serves on the board of the Society of the Founders of Norwich and is the facilitator for the Norwich Heritage Groups. She hopes to continue advocating for heritage development and being a dedicated steward to her community and its rich history. Please look for Norwich’s walks in the 2018 Walktober Calendar! We hope that you enjoy getting to know our community, which is rich with history and culture. Our walks include architecture, Norwich’s rich & famous (and infamous! ), the Mohegan Tribe, historic battles, waterpower, arts, gardens, graveyards, ghosts and much more! Have we piqued your interest yet? Visit Walk Norwich on Facebook and see all of Norwich’ s Walktober Walks for 201​8​! LIKE Walk Norwichon Facebook to be kept up to date on any changes, additions or cancellations. 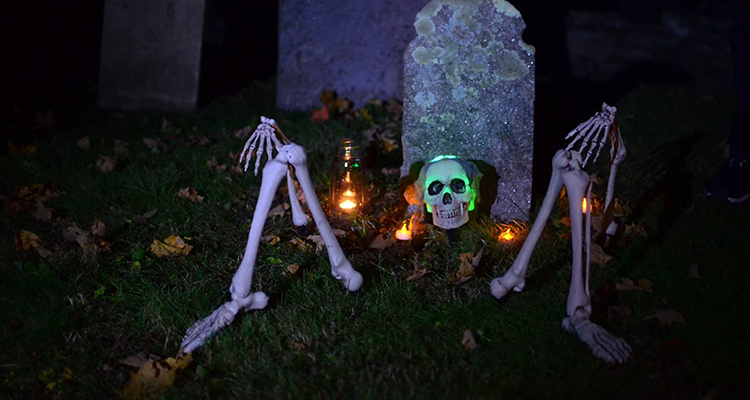 As dusk approaches, stroll through one of Norwich’s oldest graveyards and hear colonial history and local ghostly legends. Admission: $7.00. Tour limited to 90. Tickets go on sale September 2019.